In South Lake Tahoe, the land of black diamond mountain biking, zigzag turns, steeps, kickers, log stunts, and technical rock staircases are the norm. True beginner trails are hard to come by. Yet, not every mountain biker is at an intermediate, advanced, or expert level. For this reason, I have sought out four tempered cruisers that will appease novice riders, or even veteran riders who want to take it easy and soak in some stunning scenery. 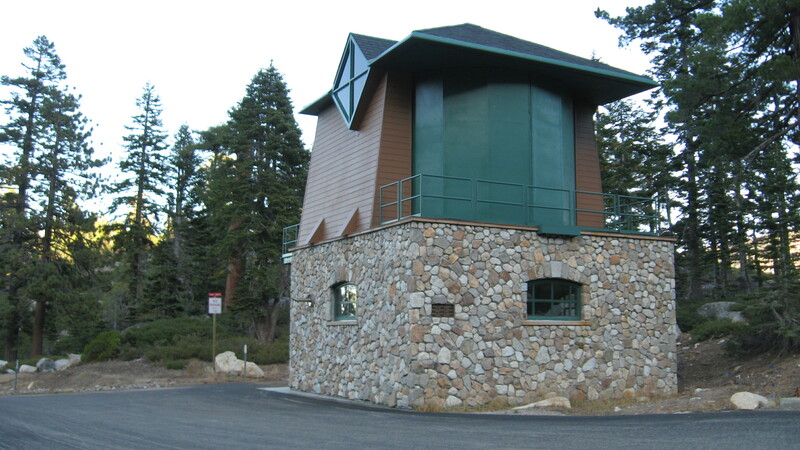 Start your Gunmount adventure at the avalanche Gun Tower on the north side of Hwy 50, just a half mile west of Meyers past North Upper Truckee Road, before the highway turns south to climb Echo Summit. Logging roads have cropped up throughout the Angora burn area, erasing the former Gunmount singletrack that clung below the Angora ridgeline. Try as you may, picking up the trailhead at the opposite end by the South Lake Tahoe High School sign on Vikings Road or similarly, across from Sawmill Pond, at the intersection of Lake Tahoe Boulevard and Sawmill Road, will not connect you with the described Gunmount trail that skirts the shores of Seneca Pond and leaks out at the avalanche Gun Tower. Starting from the Gun Tower on Highway 50, two trails present themselves. Take the trail to the left to traverse northwest along the escarpment below Flagpole Peak. 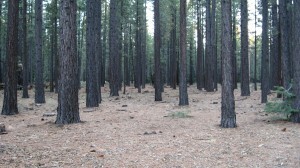 The trail to the right plunges into deep forest, eventually bordering Osgood swamp. 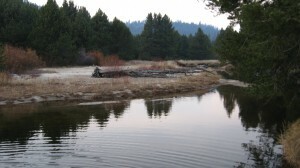 Shortly after leaving Osgood, the only technical section of the right-hand trail appears as wood plank creek-crossing. My advice for novice riders: walk the plank! 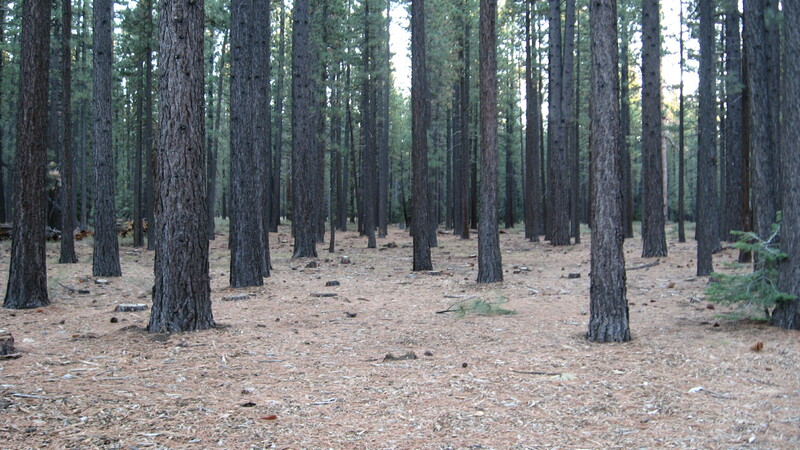 Eventually, the right and left-hand trails merge onto a lone, pine needle-covered singletrack, meandering through at-first vivacious woods, which thin out into ebony, telephone-pole-like silhouettes – products of the Angora fire. 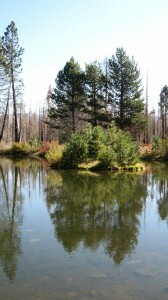 In the midst of this bittersweet burn area, Seneca Pond, also called Hippy Pond, sits, like a glistening, untouched mirror in the scorched wreckage of a tragic fire. Seneca Pond marks the turn-around point of this short and flat, out-and-back route. 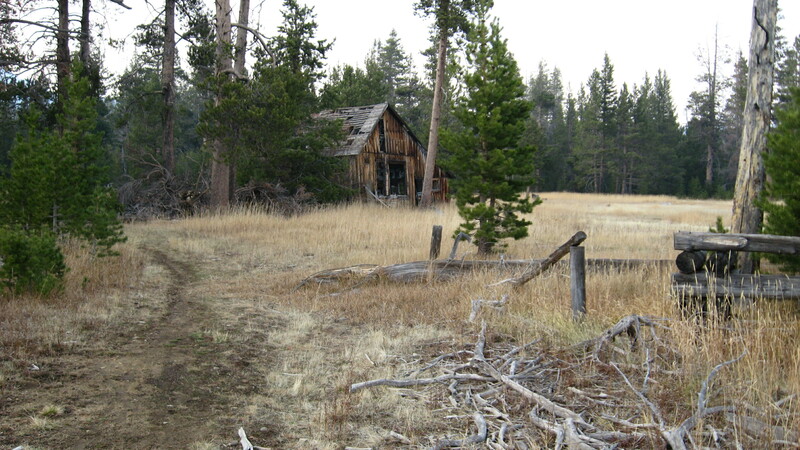 There are many spurs trails on Gunmount, and if you bailout on an eastward spur trail, you will eventually end up on North Upper Truckee Road, resulting in a shorter loop. From Highway 50 in South Lake Tahoe, turn onto Sierra Boulevard and follow it all the way to its end. At a T intersection, make a right onto Barbara Avenue and the entrance to the trail is located at the end of Barbara at the corner with Lodi Avenue. 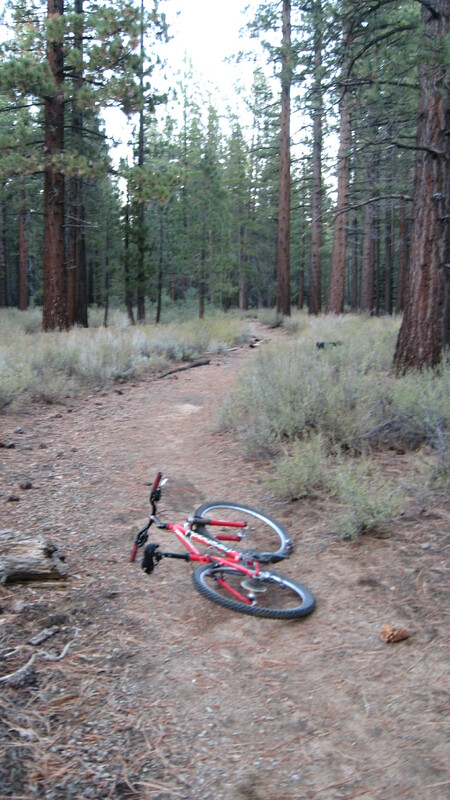 Pedal through pine-shaded forest on dirt, planar trails, which put the flat in the phrase “paper flat.” Sierra Tract’s section of woods is bound by two meadows – an eastern square containing Trout Creek and a larger, western strip embracing South Lake Tahoe’s airport as well as the Upper Truckee River. This maze of interconnecting trails can be confusing at first. When navigating the Sierra Tract spider web, try to keep a mental tally of the turns you took, so an out-and-back route, if not a loop, is always an option. Keep it simple. The humble act of exploring is your best bet to discovering longer and shorter loops in this novice mountain biking area. Persisting on an eastward trail will eventually dump you out onto Black Bart Avenue, upon which you can link up with trails to Lake Tahoe Community College off of connecting Meadow Crest Drive. From South Lake Tahoe, head south on Highway 50 towards Meyers. Turn right onto North Upper Truckee Road. Turn right at West San Bernardino Avenue, left on Cholula Street, and left on Chilicothe Street. 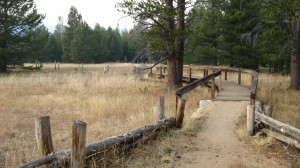 The ride begins at the end of Chilicothe Street at the gate to Washoe Meadows State Park. Starting from the gate into Washoe Meadows State Park, head north on a gravel road which changes to packed dirt about halfway down. The dirt road parallels the Upper Truckee River at the start. If gushing water or perhaps fishing captivates you, keep your eyes akimbo for several spur paths to the banks of the Upper Truckee. 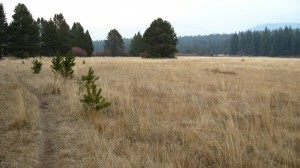 Follow the road along a 90 degree curve in the middle of the meadow, ignoring the singletrack on the right. Veer right as the dirt road makes an acute-angle turn at a historic wooden building. Turn left onto a doubletrack through the split-rail fence, while avoiding the dirt road to the right which leads to private property. Cross two raised boardwalks and two wooden bridges. Just past the second bridge, a fork in the trail presents itself. Veer right onto singletrack. The singletrack roams through lush meadow, crosses Angora Creek, and all the while, offers a backdrop of towering Sierra Nevada peaks. The gate at the north end of the park, at the corner of Lake Tahoe Boulevard and Tahoe Mountain Road, designates your turn-around point for this out-and-back route. From the intersection of Highway 50 and Highway 89, at South Lake Tahoe’s “Y,” head south for 2.8 miles on Highway 50 towards Meyers. Turn left onto Elks Club Road. Look for the trailhead just past the Elks Lodge on the left near a gate. On Sunday and occasional Saturdays, the Tahoe Flea Market is up and running next to the trailhead, from 8 a.m. to 5 p.m.
From the gate, jump on the dual track peppered with woodchips which gives way to dirt. As a heads up, ignore side trails for the entirety of this ride. 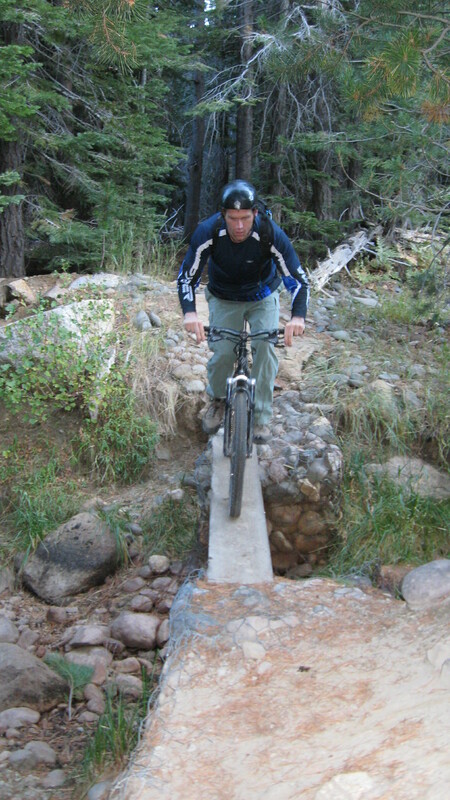 Continue on the dual track which fades into singletrack, just as it reaches the banks of the Upper Truckee River. From here on out, the singletrack winds, dips, and levels through meadow and forest on a route parallel to the Upper Truckee River. Left-ward spurs will take you even closer to the river’s edge. 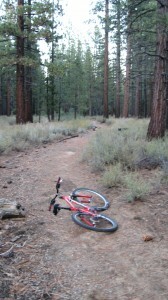 Mid-journey, you will reach a hike-and-bike section up a steep slope, littered with tree roots. Continue straight to the 2.3-mile-turn-around point where the trail meets pavement leading across the river to the airport.